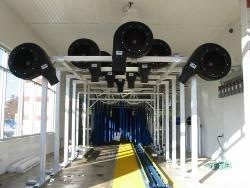 We offer the newest and most advanced equipment available in professional car washing in the Robertson County area. 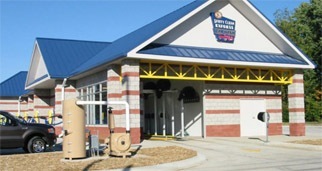 Spiffy Clean Express Car Wash provides exceptional services designed for vehicle owners that enjoy taking the time to clean their vehicles. 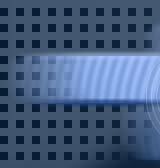 Spiffy Clean Express Car Wash uses the latest and most technologically advanced car wash tunnel equipment available today: All soft cloth materials that provide a cleaner, no swirl wash, than even if washed at home. 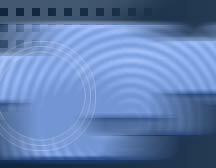 There are NO BRUSHES at Spiffy Clean Express Car Wash. We also offer FREE USE OF VACUUMS with every wash! Spiffy Clean Express’ SOFT CLOTH & MICRO CLEAN FOAM system is even safer than hand washing. Properly balanced chemicals designed to get your car to maximum cleanliness while nurturing it’s surface and paint. They're safe for your car and safe for the environment, too. If you've ever pulled out of a carwash with your car still dripping wet, you'll appreciate Spiffy Clean Express’ 120 horse power, power drying system! 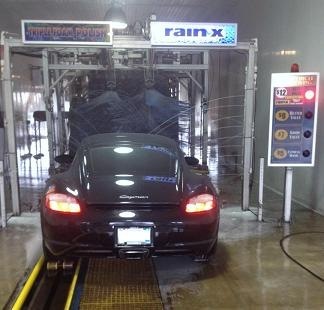 Our eight overhead mounted touchless dryers will safely dry your car and prevent spotting and is included with every wash.
Tire and wheel cleaners that actually do just that – they use high pressure and appropriate chemical mixes to reach crevices, removing brake dust, dirt and grime. Waxes and spot free additives that ensure a clean, lustrous surface appearance. We’re conscious of the environment: We recycle our water, keeping harmful wastewater from entering our waterways while reducing the amount of water needed to wash your vehicle by as much as 60%. We have constructed an extensive water reclamation system to not only conserve water, but to treat it on site and re-use it without burdening our city's limited wastewater treatment facilities. Looking for that special Holiday or Birthday Gift? 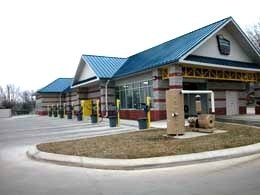 Gift Cards are available for purchase at our Car Wash site and make great gifts! And remember, ... Your Car is not Clean Unless it's Spiffy Clean! !